Apricot Cherry Galettes — What the Fruitcake?! Over the last couple of months I've been experimenting with galettes. They're pretty easy to make and you can have a lot of fun thinking of combinations of fruit and flavours. Galettes can be made with almost any crust you prefer, but I'm particularly fond of the shortcrust pastry that I've been using. It's crisp and flaky, oh so buttery, and sweetened very slightly with a hint of sugar. So when I was asked to take part in an interesting dessert challenge for the Most Wanted "Make Summer Taste Better" series, a galette was the first thing that came to mind! But as it turns out, my idea of a galette was spot on... in all categories! 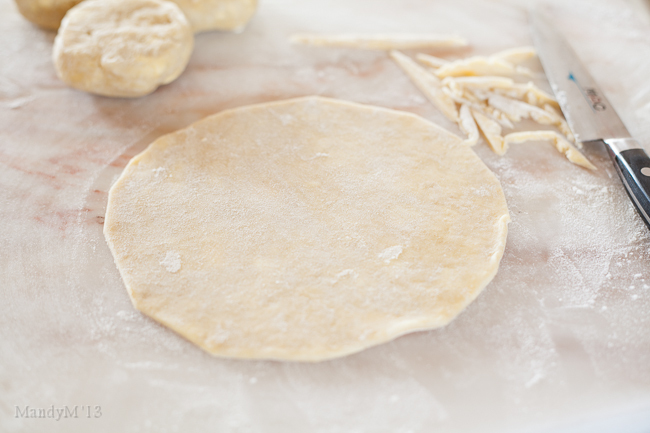 If you've never heard of a galette, it's actually a very broad term. It's a tart that can be sweet or savoury, but it's usually flat, round and sometimes free-form. Similar to the French galette, the Italian crostata is also a round fruit tart, sometimes free-form, sometimes made in a tart dish, but with a slightly different pastry recipe. My galette recipe is a free-form round fruit tart, and as I mentioned, with a lovely shortcrust or pâte brisée pastry. I decided to make these as individual tartlettes following the theme of something easy for al fresco dining, but you can very easily just make this as one large galette to cut and serve as slices. Now I realise that shortcrust pastry has the bad rap of being difficult to make, that it's all fiddly and temperamental, but honestly, the biggest tip is just to keep everything cold. Cold is good. Slightly dry, slightly too wet, not the end of the world (shhh, don't tell any pastry chef that I said that!). But keeping things cold means that all the butter doesn't melt into the flour because you want to get little bits of butter which helps make the pastry to be beautifully flaky and crisp. 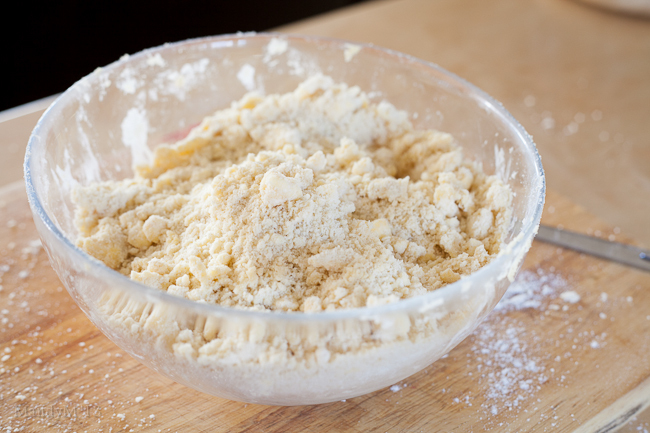 It's especially easy to make if you have a food processor, that means there's no hands-on time which helps with the keeping-things-cold rule. But, you can make perfectly good shortcrust by hand, in fact, sometimes I prefer it. 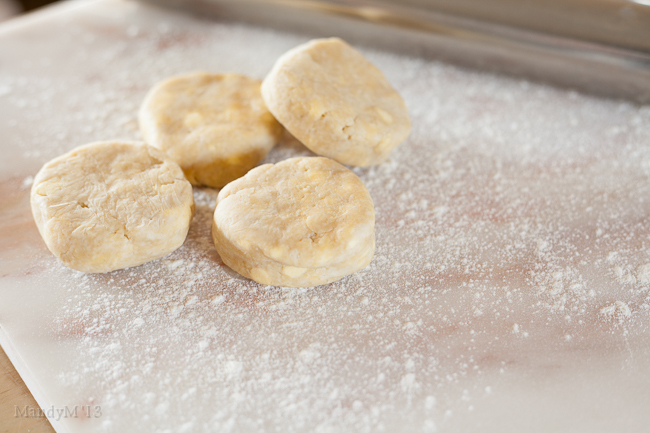 One less appliance to take out and pack away and rubbing the butter into the flour by hand can give you more control to get the right texture. We've been getting amazing cherries this summer, plump and sweet, I thought they'd be great for a summery dessert. Then while browsing the fruits on offer I spotted lovely apricots. These two stone fruits seemed like they'd make a good taste duo! I also decided to add some apricot conserve to my tartelettes. It added sweetness and enhanced the flavour of apricots. 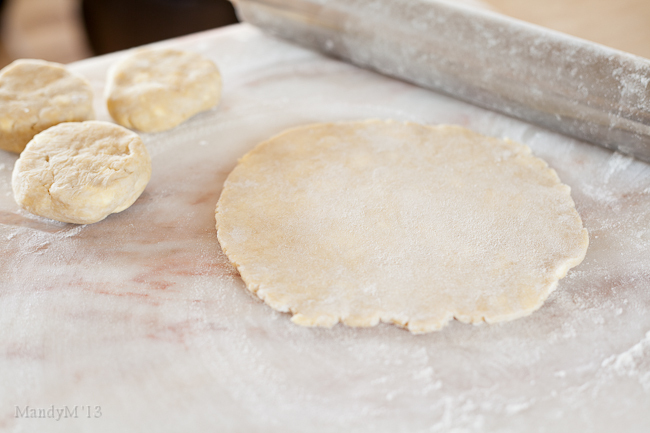 I took a few of these galettes to work (my hubby and I can only easy so many!) and I got rave reviews! Everyone thought they were just perfect for a summer dessert. They also loved that they weren't overly too sweet, the apricots were slightly sour, the cherries sweet. And I made sure they enjoyed them properly with a dollop of crème fraiche on top! In passing, I actually heard one of my work friends say that they wouldn't normally enjoy crème fraiche but that it was great with these tarts as it was a little lighter than whipped cream and was just the perfect accompaniment. And of course, the pastry! I had lots of comments about the buttery, flaky goodness that is shortcrust! Oh, and if you're wondering what this tasty treat will cost you (after all, that was part of the challenge), I'll break it down for you. (I've put the costs down to the amounts needed for the recipe as I was told I was allowed to do, cupboard staples included). Posted on July 1, 2013 by Mandy Mortimer and tagged Galette Crostata Tart Shortcrust Summer Baked Apricot Cherries.